Singapore is an island state with a limited amount of undeveloped land. As the population continues to grow, mainly due to foreign influx, the trend is to build higher buildings to optimise the use of land. Most Singaporeans (over 80%) live in apartments built and managed by Housing and Development Board (HDB). The rest of the Singaporeans own and live in private apartments/condominiums or live in a landed property. Foreigners moving into Singapore typically rent in one of the private apartments/condominiums (varying from older/basic ones to luxurious ones with wide variety of facilities) or large landed houses. Expatriates form the majority of the private rental market. 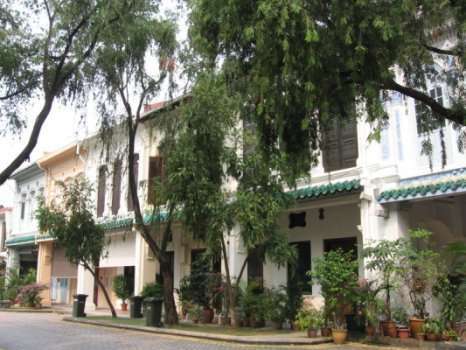 However, most landlords are Singaporeans and investing in real estate is very common among wealthier Singaporeans. The government recently increased the allowed floor space that can be built per square foot of land ('plot ratio'). This combined with increasing overseas demand for private apartments has resulted into a trend of developers buying up older (typically 20+ years old) private apartment blocks via 'en-bloc sales'. These are then redeveloped into modern, taller and often much more luxurious developments. Residential properties in Singapore can be divided into three main categories: Private apartments, landed properties and HDB apartments. If you are a foreigner, you need to understand the difference as there are ownership restrictions on the latter two. Private apartments are classified either as apartments or condominiums by the government. The distinction is somewhat artificial, but typically apartments are smaller developments and condominiums generally have more facilities and are larger. Most condominiums come with swimming pool, tennis court, gym, squash court, children playground and a BBQ area. They also typically have their own enclosed car park and security guards looking after the security at the entrances and the whole area around the condominiums. Tenure of private apartments is commonly freehold, 99-year leasehold or 999-year leasehold. Landed property classifications are, for example, terraced house, semi-detached house, detached house, good class bungalow and shop house. The main point to note is that they are tied to the land title. Landed properties are typically freeholds, but there are 99 and 999-year leaseholds in the market as well. As land is scarce in Singapore, you can expect landed properties with large plots to be very expensive - especially near the city centre. HDB apartments are flats built and maintained by Housing and Development Board, with the government subsidising the purchase and financing of these. HDB estates with a concentration of a number of HDB apartment blocks are designed to be self-contained neighbourhoods - with coffee shops, supermarkets, food centres, clinics, schools, library, shopping malls, playgrounds and parks. HDB estates are also well served by public transportation system (buses and MRT). HDB apartments are always 99-year leaseholds and typically lack the facilities of private apartments. 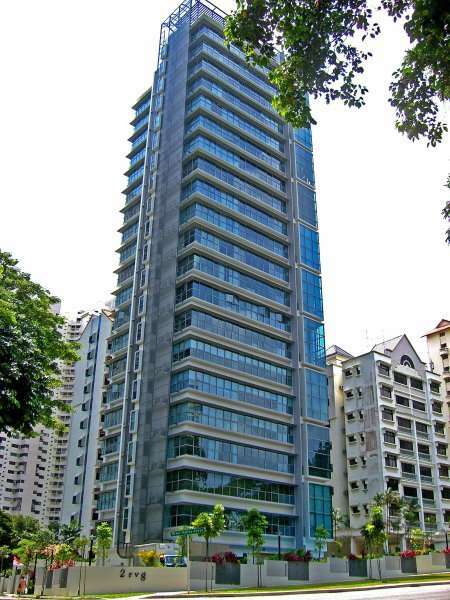 Executive Condominiums are somewhere between HDB apartments and private condominiums. There were created for professional young people who want better than HDB, but cannot afford private condominiums. They are government subsidised and can only be bought if a certain criteria is met - similar to HDB criteria. They will automatically convert into no restrictions private properties after 10 years from construction. They cannot be sold at all during the first 5 years, and they cannot be sold to a foreigner during the first 10 years from construction. Foreigners can rent private apartments and landed properties, as long as they have a valid long-term permit to stay in Singapore. It is illegal for landlords to provide accommodation for illegal immigrants, so a proof of valid stay is required when renting an apartment - typically an employment or student pass. However, renting out a whole HDB apartment is subject to approval from HDB and the tenant is advised to check that the landlord has the permission. As in many other countries, Singapore has restrictions on foreign ownership of property. The Singapore government has recently relaxed the restrictions in order to attract foreign investment as well as foreign talent as part of a drive to increase Singapore's population and economy - although few people expect the restrictions on land ownership to be lifted any time soon. There are currently no restrictions for foreigners to buy private apartments. However, foreigners cannot buy landed properties without specific case-by-case approval from the government. And even then there are restrictions on the use of the property e.g. most cannot be rented out unless in a mixed commercial and residential area. Applicant must either be a Singapore citizen or PR with at least one other sibling who is a PR. Applicants must form a family nucleus - either married or intending to get married; or with parents, siblings and/or children. (Optional) The combined income of all persons in the application must not exceed S$8,000 a month in order to qualify for CPF Housing Grant. 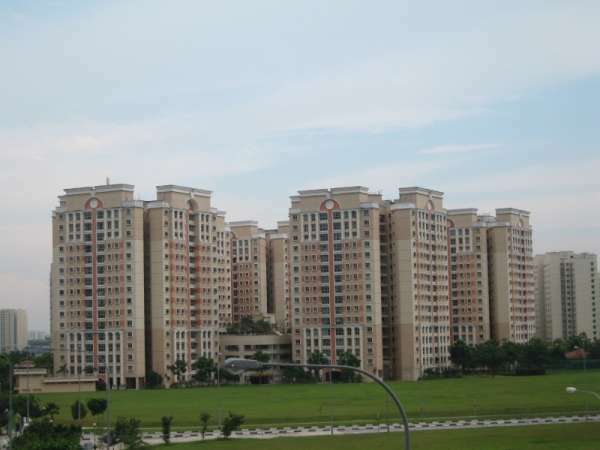 HDB has other schemes for special cases – please check http://www.hdb.gov.sg/ for details.